It’s the start of a new year and time to make our annual predictions for how we believe influencer marketing will develop over the next 12 months. Most of our influencer marketing predictions for 2017 and 2018 turned out to be reasonably accurate. How accurate will our forecasts for the influencer marketing trends for 2019 be? Influencer marketing matured last year. Indeed, it is now mainstream, to the point where many consider it a legitimate extension of content marketing, as the most effective means of content delivery. Although it has suffered a few niggles, such as fake followers and influencers not disclosing their promotional activities, influencer marketing has grown from strength to strength over recent years. It will be interesting to see how influencer marketing further evolves over 2019. 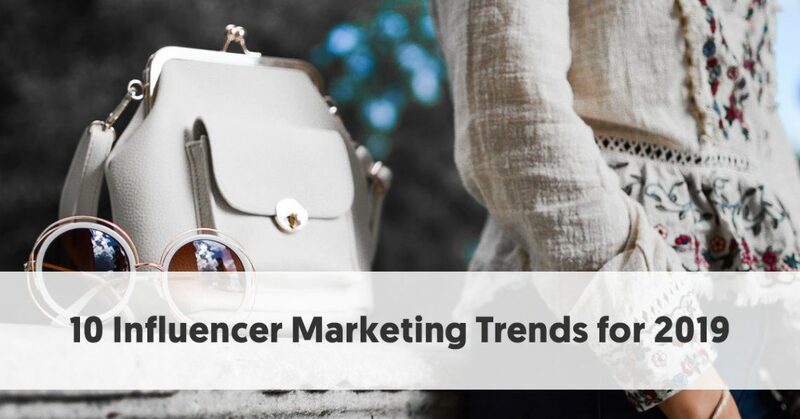 You will notice that our predicted influencer marketing trends are still positive. Despite a few clickbait headlines proclaiming, “Influencer marketing is dead,” we see only positive vibes. It truly has become the most effective way for brands to deliver their message to cynical consumers. Influencer marketing grew out of celebrity marketing. To the average person in the street, influencer marketing involves brands working with famous people. They may not even realize that a plug made for a product in a blog they read could be a case of influencer marketing. We have extensively written about the different types of influencer over the past few years. In particular, we have signposted the increase in popularity of micro-influencers. One of our 2017 predictions was that micro-influencers would have more influence than celebrities would. Mega-influencers are really only of value to a few large brands. These people may be famous, but they don’t really influence peoples’ behavior. Just because you can recognize a celebrity’s name, does not mean that you respect them enough to buy the products they recommend. While macro-influencers may have a lot of respect in their niche, there is usually too much competition for most brands to work with them. Macro-influencers can pick and choose the brands they want as their business partners. This leaves micro-influencers and nano-influencers for the average business. As 2019 progresses, we expect more brands to choose to work with the best influencers in these categories. You might feel that a nano-influencer will make too little impact – they just don’t have enough followers. However, nano-influencers are often the best people to extol a brand’s virtues to a narrow or specific niche. If a brand builds a relationship with a nano-influencer, then most people consider it authentic and genuine. Brands need to balance the increased authenticity and engagement of nano-influencers with the increased reach of micro-influencers. It will be most interesting to see which way the majority of brands choose to go in 2019. It has been common until now for brands to think short-term with their influencer campaigns. They have an idea for a campaign. They search for influencers (whether organically, using a platform, or with the assistance of an agency). Either the brand or the influencers create the campaign, depending on the amount of control the brand requires. The brand then (hopefully) analyses the results of their campaign, and then moves onto something else. Often, the next campaign repeats the whole influencer identification process. However, as influencer marketing becomes more popular, there is a danger that influencers will pick and choose the brands with whom they wish to work. 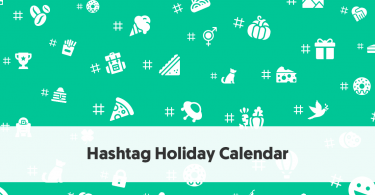 Good influencers are likely to “fill up” their calendar with paid promotions. If a brand isn’t careful, they will lose their best influencers because of short-term thinking. There are signs in early 2019, however, that this trend is changing. When brands find suitable influencers, they now focus on building longer-term relationships. This makes sense. The longer an influencer works with a brand, the easier it is for them to come across as being genuinely supportive of the product. If an influencer continues to display support for a product through multiple campaigns, it emphasizes synergy between the influencer and the brand. It adds to the influencer’s authenticity – they clearly aren’t just making a post to grab some easy money. From the brand’s point of view, continuing to work with an established influencer gives continuity. If they have produced positive results in past campaigns, there is a high likelihood of them doing so in the future. It also takes away the potential risk a brand faces from every first-time influencer relationship. Brands and celebrities have built long-term relationships for years. Think how long the George Forman Grill has dominated its market. It is likely that influencer marketing will more closely follow this pattern in 2019. It was not all that many years ago that people were discouraged from using video on the web. It gobbled up bandwidth and slowed the user experience. However, that has now changed. Video now plays at an acceptable speed on most wired and Wi-Fi internet systems. With the spread of 5G networks, you can even play usable video on the cheapest smartphones. All of the major social networks have understood this change. YouTube has had a video focus since its inception, of course, but the other big players – Facebook, Instagram, Twitter, and LinkedIn now all cater for video content. Google search results favor videos now, too. As with most things social, influencers have led this trend. By definition, influencers are the leaders on their social platform. They show their followers the latest trends in their niche, and typically lead the charge whenever a social network adds a new feature. Therefore, it should be no surprise that influencers are some of the most regular posters of video across the range of social platforms. As 2019 progresses, video will become more important. Many of those who suffer slow connections or poor equipment are likely to upgrade this year. Everybody who buys a new phone is effectively purchasing a new video camera. Indeed, Cisco predicts that 82% of all internet traffic will be video by 2022. It is likely that brands who want to user video influencer marketing seriously will cooperate with influencers who operate across the full range of video platforms, rather than just focusing on one, as they may have in the past. Yes, YouTube is designed for video. However, they are merely one of the social sites where people watch videos online. 2018 was a year Mark Zuckerberg would prefer to forget. The Cambridge Analytica Scandal may have been a slow burner, but it came to a head last year. The ramifications for both Facebook and Instagram are still being felt as 2019 dawns. Perhaps the most disturbing concern for Mr. Zuckerberg, however, is that for the first time, Facebook numbers are falling. In the last year, Facebook users fell from 67 percent of Americans ages 12 and older to 62 percent. This drop has been consistent across age groups and genders. This is likely to continue in 2019. The fallout from the Cambridge Analytica data scandal has been immense. Many people just don’t trust Facebook anymore. Facebook has another problem. It is no longer fresh or fashionable with the younger generations. In many ways, this makes Facebook a victim of its own success. With higher numbers of older people signing up to Facebook, it became less youth-oriented. Teenagers don’t want to “hang out” in the same place as their parents. The third reason for Facebook’s declining popularity is more a fault of its users than of Facebook itself. People can be incredibly negative when posting on Facebook. It is much easier to vent on Facebook than it is to complain to somebody’s face. The problem is that many people use social media to zone out from their daily concerns. They tire of reading negative comments in their streams, and some even choose to deactivate their accounts as a result. It is ironic that at the same time that Facebook is taking a beating for its data-breaching activities its visual platform Instagram is soaring in popularity. 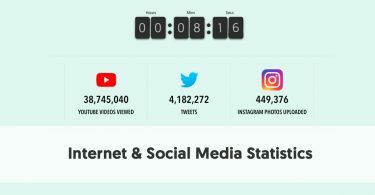 Instagram broke the 1 billion active users per month threshold in 2018. Its popularity continues, regardless of issues faced at its parent company. Instagram has also been smart, adding to its offerings, introducing Instagram Live, Instagram Stories, and IGTV in recent years. Instagram is currently the social media site of choice for the younger generations. They love its visual nature and the fact that it incorporates many of the best features of other social media platforms. It helps that Instagram has taken on board its importance to influencer marketing, and has developed tools to make the process easier and more straightforward. Earlier we signposted our belief that video will continue to rise in importance in influencer marketing in 2019. Indeed, we expect to see a trend of more video across types of social media channels. One network likely to see real growth, however, is Instagram offshoot, IGTV. Instagram introduced IGTV as their version of YouTube in mid-2018. IGTV is Instagram’s second attempt to create their own version of one of the opposition social networks, with Instagram Stories being their version of Snap Chat. Probably the biggest gamble taken by Instagram was requiring IGTV users to upload vertical videos only. Their philosophy is that most people hold their phone vertically, so they should also make their videos in that format. This does limit the amount of video cross-pollination, however. If you upload a traditional horizontal-format video to YouTube and/or Facebook, you can’t also upload it to IGTV. Despite this, we believe that IGTV will continue Instagram’s golden touch for influencer marketing. Influencers and brands will make and upload more IGTV-specific content in 2019. Influencers who include short videos in their Instagram Stories now have the opportunity to create longer, more detailed videos for IGTV. In the early days of influencer marketing brands struggled to compare potential influencers. Therefore, many chose to focus on the easily discoverable metric of follower numbers. Many brands focused on pitching their product to the influencers with the highest follower numbers who came within their available budget. The problem is that this is a very blunt metric, and can give unfortunate results. Businesses understand influencer marketing in 2019. One trend this year is likely to be an increase in brands looking at a broader range of metrics when selecting influencers. In particular, they now understand the importance of aligning influencers with your brand values. Alignment and brand fit are essential for a successful influencer partnership. For example, an anarchic, crude, influencer may have a support base of millions of followers. However, they will not make a good partner for a brand that trades on having family-friendly values. In 2019, brands now realize that the most essential requirement for working with an influencer is that the people they influence match up to your target audience. There is little point working with somebody who influences the wrong type of people for your product, just because they are famous. Over the last few years, many influencers have begun to understand their success. They have realized that they are really building a personal brand. We extensively covered personal branding in 2019, including our Ultimate Guide to Personal Branding. We can see this trend continuing in 2019. With more influencers building solid support bases, they will start to operate their online activity more like a business. Having a business account is one of the key prerequisites for influencers on Instagram. Indeed, many of the top influencers are often referred to as social media personalities. This is particularly so for macro-influencers like Zoe Sugg and PewDiePie. 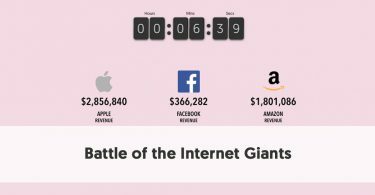 They are the celebrities for the internet generation, and many of them operate large-scale businesses to fund their activities. After years of warning by regulatory bodies, like the FTC, people finally understand the importance of labeling sponsored content. 2019 could be the year when it becomes the norm. Ad disclosure is now much more common. The social networks helped this, with Instagram, YouTube, and Facebook all setting up an easy way for influencers to mark posts as Sponsored. To some people’s surprise, the increase in posts labeled as sponsored has not killed influencer marketing. Influencers who post authentically and align sponsored posts with the correct target markets, still perform well with their followers. Generations Y and Z may have a hatred of traditional ads, but they’re willing to take note of sponsored posts from the people they already trust online. It all comes back to brand and influencer alignment, authenticity and trust – something that conventional advertisers can never match. One of the hottest topics in 2018 was the issue of fake followers. Brands are now going on the offensive, and expect more determined action in 2019. Unilever has already made it clear that it will never again work with people who they detect have fake followers, and other brands will follow. Fake followers could be the kiss of death to anybody stupid enough to continue the practice. It is surprisingly easy to spot accounts with fake followers. Once somebody buys fake followers, they are effectively devaluing their social account forever. Few companies will waste their marketing budgets in 2019 on “influencers” who show any evidence of having collaborated with fake accounts.